We are a manufacturer and exporter of teak garden furniture, patio teak furniture sets, colonial indoor furniture located at Jepara Central Java - Indonesia. We offer Our teak furniture products are includes teak benches, garden chairs, teak tables, sun loungers, teak steamers, spa furniture, shower benches, stool accessories, batyline furniture, bar furniture,cushions, iron teak furniture and wicker rattan furniture. For more detailed, please visit to Our website. 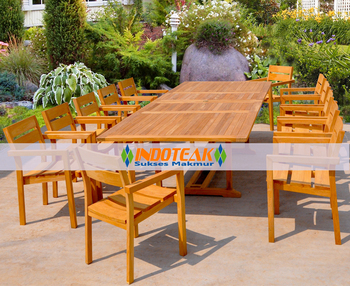 Please enjoy and browse Our teak furniture products. I hope you will interest and if you have any questions (products catalogues, price list, terms of price, time delivery, etc) please don’t hesitate to contact Us. We are looking forward to hearing you and receiving your support. For further information, please kindly feel free contact us at address below. We will send you our catalogue and quotation for your reference.